At Rentwise, we understand that you need robust solutions that work to protect your business. That’s why we provide comprehensive, end-to-end green IT infrastructure solutions that are not just environmentally friendly, but secure; so that your data remains safe, and your business operations, uninterrupted. To serve your needs better, highly rated technology principals have partnered with us to offer endpoint security solutions; namely Bitdefender and Cibecs. Following this, all our rental computers and laptops can be installed with Bitdefender Antivirus and Cibecs data protection software, offering a hassle-free and peace of mind solution for our customers. Similarly, the highly rated technology principal of network security solutions – i.e. WatchGuard Firewall – partnered with us leading to its bundling into our leasing offerings. WatchGuard’s Total Security Suite guards your servers and networks while Bitdefender and Cibecs protect your end-points. As an end-to-end green IT solution partner, Rentwise recognizes the importance of providing a secured green IT infrastructure that spans the depth and breadth of a business operation. This is achieved at the forefront with Bitdefender and Cibecs protecting the end client from any immediate threats and helps in data restoration respectively, while WatchGuard scans the back-end by monitoring the broadband traffic exchanges in the data centre via its ATP and APT technologies. We believe this comprehensive configuration stands as a potent combination to combat most threats a business faces. Essentially, we are not just providing a cost effective solution through our remanufactured equipment; we take great care in ensuring your green IT infrastructure is spared from any potential down time. We welcome any potential collaborative partnerships with principals of various brands of security solutions to enable us to offer a more holistic and value-added leasing model. The virtues of renting extend well beyond that of cost effectiveness and less headaches in asset management. Having your IT equipment on lease helps ensure a smaller carbon foot print to the environment. >> What do We do? >> How do We do it? >> Why work with Us? New vs Remanufactured: Is 3% difference in performance worth it? Running a business need not be damaging to the environment. One can be assured of preserving mother earth for our future generation, and yet, yield profitable returns in the process. Discover our secret ingredient to help you make this a reality. Rentwise is a leading provider of Green IT Infrastructure Services in Malaysia offering complete End-to-End IT Infrastructure and Asset Lifecycle Management Solution. By understanding our clients’ IT goals, we deliver products and services with a valued difference, at the same time, protecting our environment. As a trusted partner, we take care of your IT efficiencies to enable you to focus on your business aspirations. 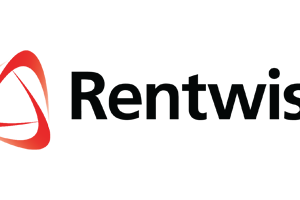 Keep yourself updated on the latest promotion and happenings here at Rentwise by subscribing to our newsletter. We'd love you to hear from us!